St Pauli are a very special football club. Their social media statistics provided the key case study in my talk on sport’s Overachievers at SXSW in March. I think I made a decent fist of the argument however it was all-but proven when I got off the bus in Austin the following day and saw a woman from Holland sporting a St Pauli shirt. Leslie was living in Texas but wearing the colours of a German second division side. The facts are these: on December 31, 2017, there were 179 football clubs with over 1m reach on social. Only eight were playing in their country’s second tier. The four in the English Championship had been in the Premier League at least three years earlier. They have basked in the global glory of the most watched football competition in the world. Likewise, three Brazilian clubs had been in their leading division the season before. Then there was St Pauli of Hamburg. They have enjoyed only one year in their country’s top-flight since 2003, in fact, the German side have spent more time in the third-tier than the Bundesliga since the turn of the Millennium. 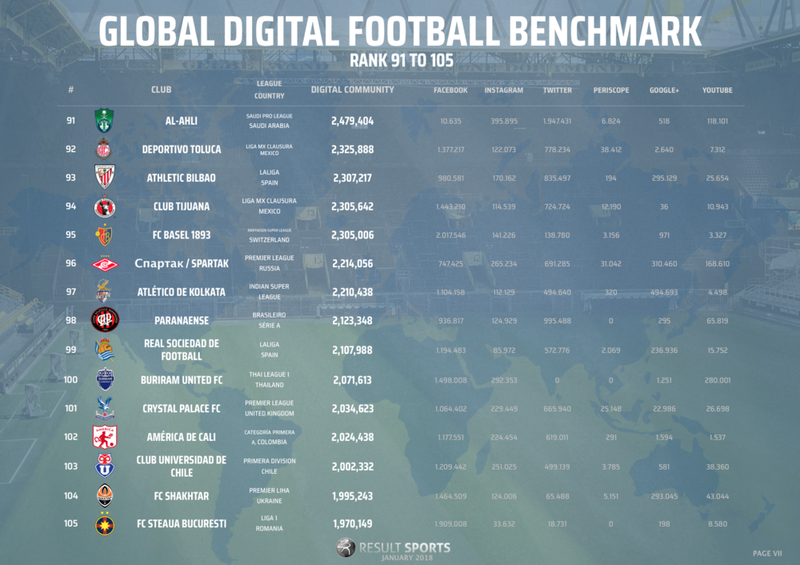 However, with 1,001,000 followers on social media, St Pauli were the 174th most followed football club in the world at the turn of this year. We need to go back almost 40 years to understand the reasons. Back in the early 80s, SV Hamburg were just coming down from an appearance in the European Cup final and the departure of England’s finest player, Kevin Keegan, who had made the then unusual decision of moving abroad. At the same time, a small yet significant (and very loud) element of right-wing fans were alienating a proportion of their support. Meanwhile, in the city of Hamburg itself, there was a stand-off between squatters claiming rights to properties in the dock area and the city council. When the authorities’ defeat emboldened the semi-anarchist factions within the city, they found a natural freedom of expression on the terraces of their local second division club. They were joined there by those like-minded football fans who had fallen out of love with SV Hamburg. A culture grew - left-leaning social activists who were anti-commercial and pro-human rights. They banned nationalist displays in their stadium, took on the skull and crossbones flag and enjoyed with punk music. Crowds went from around 1,500 to 20,000, almost entirely on the back of this culture as the team were still enjoying only sporadic spells in the top flight. However St Pauli were not just talking about being different, they walked this particular walk too. Like many German clubs, St Pauli are 50% + fan-owned but sometimes that ‘ownership is paid mere lip-service. With St Pauli, it is real. Supporters have moved from the terraces to positions of power. It has helped keep the club true to its ethos. Seven minutes before kick-off, the PA and the LEDs shut down for the supporters to create the atmosphere. It’s flags, chants, banners and pure passion until the team walks out to the murmuring bass line of Hell’s Bells by, inevitably, AC/DC. St Pauli were also the first German club to have a proper charter in which human rights were protected and they "put across a certain feeling for life and symbolises sporting authenticity". They had a gay chairman in 2009 and produced banners proclaiming “refugees welcome here”, supporting LGBT rights and opposing white racism. All this has struck a chord with many. As football has become a product, not a passion and those who watch it become customers not fans, the more St Pauli appears to be an oasis. They set out to be the game’s “pirates” 40 years ago but, with others moving swiftly in the opposite direction (lead by the Premier League), they appear to represent all that is real in the game. And, indeed, the reason that many of us fell in love with it in the first place. They have the culture, the music and the principles. All that has overpowered the rather dismal performance on the pitch. As a by-product, they are huge overperformers in social media. Their story also transcends national boundaries, hence the flood of football fans from other clubs who visit their Millerntor ground on a regular basis. Also, there are St Pauli twitter accounts for fan clubs all over Europe and the US. Compare this tale with evidence from Uefa’s study into the top 25 official sites of European football clubs in 2017. The only one that did not garner most visitors from its home country was Barcelona where Spain represented 8.9% but the US was 9.5%. You might class this as some sort of overachievement, and certainly, the Catalans possess a romantic history themselves, mainly based on nationalism. But there is a similar whiff of social democracy. The words “More than a club” are written on their seats at the Nou Camp and they resisted having a shirt-front sponsor long after the rest of Europe has acquiesced. Barca are just behind arch-rivals Real Madrid as the most followed club on social media but close to double the team in third place, Manchester United. Theirs is a special story that, like St Pauli, crosses national boundaries. However, their conspicuous on-field success and host of stellar players means they cannot be overachievers. Likewise Galatasaray and Fenerbache, the biggest clubs in Istanbul. They have culture, passion, measured success (very high in Turkey, relatively low outside) and a relatively vast social media following. But their stories do not cross borders like those of Barcelona and St Pauli. That is why 95% of their official website traffic comes from their own country. 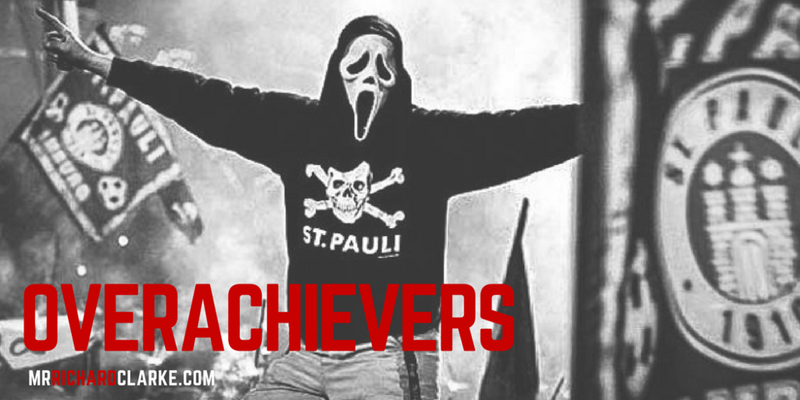 So by creating a culture so special that it crosses borders and entices fans from all over the world without the elevation of on-field success, St Pauli are the true social media overachievers. Of course, this is hard to replicate in a short space of time. But it does prove that authenticity counts for something in the increasingly false and downright fraudulent world of elite football. For that reason, above many others, we must cherish St Pauli.